ZVL brand presentation at INDAGRA FAIR 2014 in Romania | ZVL SLOVAKIA, Sp. z o.o. 19 annual International trade fair of equipment and products in agriculture, horticulture, viticulture and animal husbandry was taken place from October 29th to November 2nd, at Romexpo Exhibition Centre. The exhibition belongs to the most important this kind of events in Romania aiming to the agricultural sector. 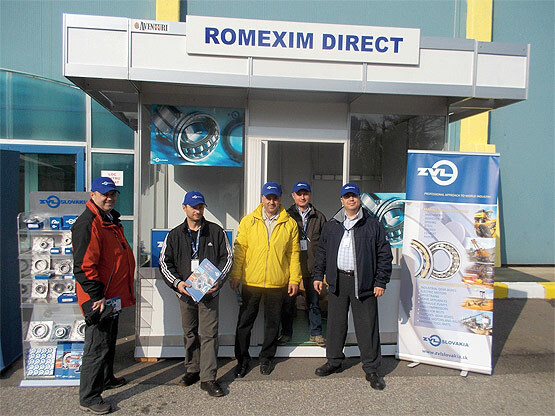 ZVL brand and product range has been presented through our authorized partner in Romania. Improving trends of sale activities and brand strengthening on this market was the main goal of participation at the fair. We will further continue in developing of our export activities and marketing support of authorized ZVL distribution network.